Our next broadcast of Bere Island Community Radio will be on Easter Sunday 21st April from 11am to 2pm on 100.1 FM or on the internet by clicking here (please note the internet link will be live approx 30 minutes before transmission). Bere Island Community Radio is part of the EU Grassroots Wavelengths project. A quarterly Grassroots Radio newsletter reports on all the activities related to Grassroots Radio, a European H2020 project that aims at piloting solutions for community radio platforms and media pluralism by creating regional and European-wide networks of stations that can pool community-level resources. Click here to subscribe to the newsletter. Welcome to Bere Island Community Radio. 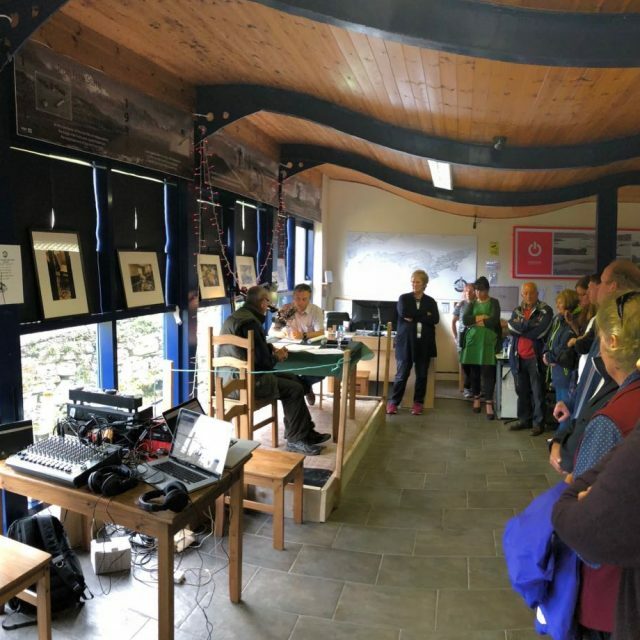 Bere Island were recently awarded a temporary broadcast licence from the Broadcasting Authority of Ireland which allows us to broadcast on the FM network throughout teh Beara Peninsula. The station will also be available on the internet. If you would like to be a part of this exciting new venture for the island, helping out in putting programmes together, or broadcasting or if you have an idea for a programme please email bereislandradio@gmaillcom or call 083 1511100.